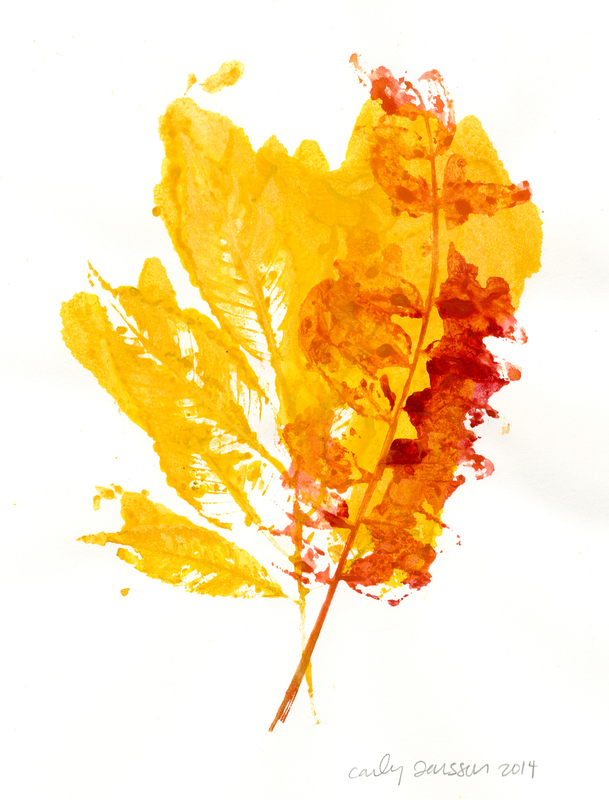 Black ash and honeylocust leaves, watercolor on Canson 98lb mixed media paper. © Carly Larsson 2014. Honeylocust, sugar maple, American linden, and ginko biloba leaves. Watercolor on Canson 150lb illustration paper. © Carly Larsson 2014. Scarlet oak leaves, watercolor and gouache on Arches cold press 140lb watercolor paper. © Carly Larsson 2014.